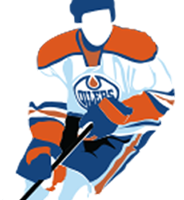 The Edmonton Oilers continued their recent history of drafting highly touted offensive prospects in the first round. With the fourth overall pick in the 2016 draft, the Oilers drafted 18-year old Swedish right winger Jesse Puljujarvi. This marks the fourth time in five years the Oilers drafted an offensive player with a top five pick: 2012 #1 Nail Yakupov, 2014 #3 Leon Draisaitl, 2015 #1 Connor McDavid and now Puljujarvi. Puljujarvi made a name for himself when he was named MVP of 2016 World Juniors Championship. In seven games, he recorded 17 points on five goals and 12 assists, placing him second all-time for points scored for a player under 18 in the tournament’s history. Puljujarvi is in elite company, as his 17 points is tied with Wayne Gretzky and Eric Lindros and is only behind Jaromir Jagr. Puljujarvi has drawn comparisons to future Hall of Famer Teemu Selanne. With all of this high praise and expectations, you would assume that Puljujarvi would be impressive so far in training camp. Unfortunately, this is not the case. College free agent Drake Caggiula continues to impress coaches and turn heads in training camp, turning the pressure up on Puljujarvi. Caggiula is grading somewhat higher than the fourth overall pick, causing concern with the fan base. Puljujarvi is still a teenager with no experience playing outside of Europe, while Caggiula played four years at one of the best pro-producing hockey programs in North Dakota University. It is smart for the Oilers to not put added pressure on the teenager in his first season in the NHL. He may have dominated as a teenager, but that doesn’t mean his skillset will translate automatically at this level. There should be no cause for concern with these recent reports of Puljujarvi being out played by a free agent rookie. The Oilers believe Puljujarvi will be a major factor in their franchise’s plans, but fully understand the growing pains that come with such a young player. This entry was posted in Draft, Player Signing and tagged Caggiula, Puljujarvi on October 4, 2016 by Mike Robinson. Interesting.. Originally I thought this was a error by Mike but according to wikipedia Puljujarvi was born in Älvkarleby, Sweden.